Han has left to get himself into more trouble, leaving Chewie all alone with the perplexing new problem that is a major pain in his hide! The iconic Wookiee will have to use all of his strength, wits, and patience to overcome this latest danger! 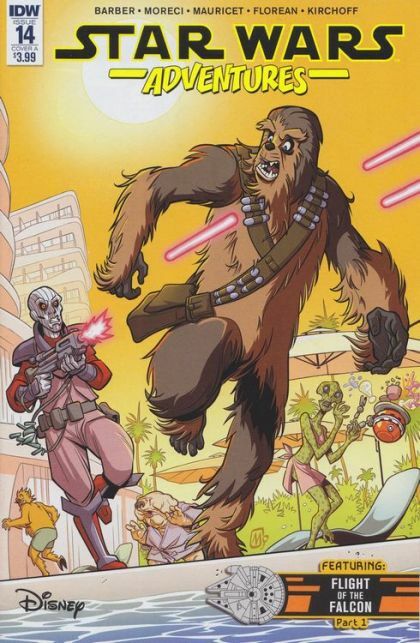 Fan-favorite Chewbacca in his first solo Adventures tale! Plus, an exciting new backup feature, Flight of the Falcon!